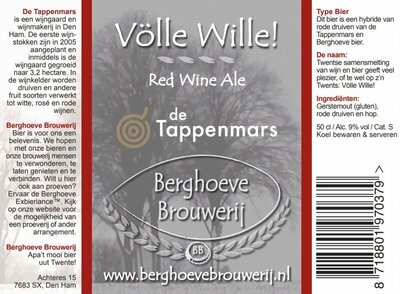 We are a craft beer brewery founded in 2010 and located in a former Farmhouse in the eastern part of the Netherlands. 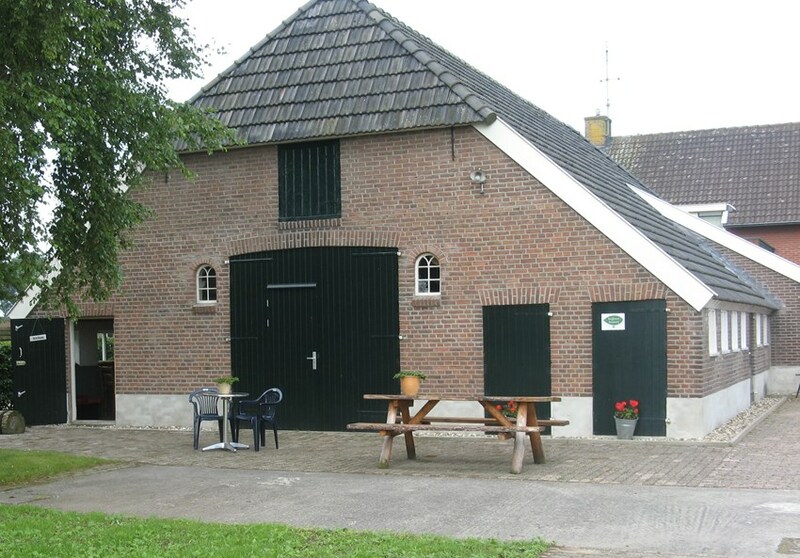 In this farmhouse we produce all kinds of beers. 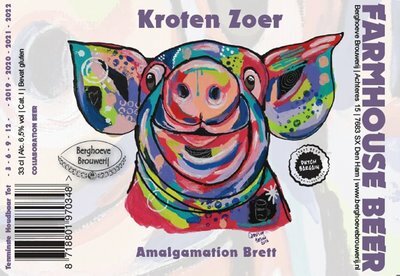 From average Belgium Styles to more explicit barrel aged or sour beers. Please have a look at our website and find out about our brewery and our beers. 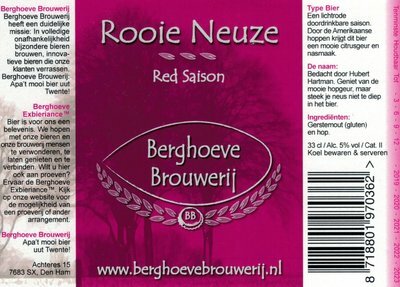 If you are interested and you are at least 18 years old you can buy our beers in our web shop. All the other countries we do not (yet) supply via our web shop. 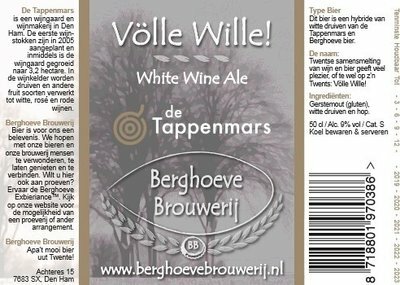 A beer-wine hybride, made of white grapes from De Tappenmars and Berghoeve beer.